Here is an attention to the Karnataka Job hunters. Recently, High Court of Karnataka has given a public notice to fill 18 Karnataka High Court Typist Vacancies. Know the post-wise & category wise, district wise/ region wise Karnataka High Court Vacancy details. Job seekers who are looking to settle in Karnataka state can utilise this opportunity. They have to first of all, ensure the Eligibility criteria for Karnataka HC Typist Recruitment 2019. Eligible contenders can fill & submit the Karnataka High Court Typist Recruitment 2019 Application Form on or before 8th May 2019. 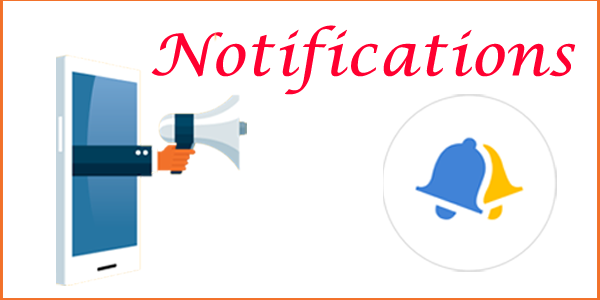 Other details regarding Karnataka High Court Typist Notification 2019 like Age Limit, Qualification, Selection Process, Salary, Important Dates, Notification & Apply Online Links, etc are given below. Karnataka HC Typist Notification 2019 provides an excellent job opportunity for those applicants who want to settle in Karnataka. Candidates who qualified Degree are only eligible to apply for Karnataka High Court Typist Jobs. Coming to the age criteria, it should be in between 18 to 40 Years years to get eligible for Karnataka High Court Jobs 2019. So, candidates who have met the above mentioned eligibility requirements do not miss this chance & go through the Karnataka High Court Typist Notification 2019 details carefully. We suggest the aspirants not to wait till the last minute, apply for Karnataka HC Typist Recruitment 2019 as early as possible. The officials will organize the selection process to pick the right candidate with prerequisite qualifications and capabilities to fill Karnataka High Court Vacancy in the organization. Scroll down the page to get the full-fledged information regarding Karnataka High Court Typist Typist Recruitment 2019. Name of the Posts: Typist. Total No. of Vacancies: 18 Posts. Are you willing or interested to apply for Karnataka HC Typist Recruitment 2019? Then, check whether you are fit for Karnataka High Court Typist Jobs or not. If you have satisfied the certain eligibility conditions, then you are allowed to take part in Karnataka High Court Recruitment Process. Applicants possessing the age criteria with in the stipulated limits are eligible to participate in the Karnataka High Court Recruitment 2019. Age: 18 to 40 Years. Contenders who have qualified the desirable educational qualifications as mentioned below can take part in the Karnataka High Court Recruitment 2019. At the time of applying for Karnataka High Court Typist Recruitment 2019, candidates need to pay the application fees charged for them (as per the category). The Application Fee includes the Examination Fee & Processing fees, etc. Generally, Selection Process is conducted by every organization to put a right candidate in the right job. For selecting the eligible individuals for Karnataka High Court Typist Vacancy 2019, the officials will conduct the following selection rounds/stages. The Employee Selection Criterion can range from a very simple process to a very complicated process depending on the firm hiring and the position. The procedure of selection may vary from industry to industry, company to company and even from department to department. Every organization designs its selection process, keeping in mind the urgency of hiring people and the prerequisites for available vacancies. Candidates those who have qualified in the series of steps involved before making the final selection will be elected or appointed for Karnataka High Court Typist Recruitment 2019. When we are applying for Karnataka High Court Recruitment 2019, it is most important to have a clear idea about the Application Process. The step by step guidelines for Karnataka High Court Typist Jobs 2019 includes the One Time Registration, Filling the Application Form, Fee Payment, Verification of details & Confirmation, Final submission, Printing the Application Form. We advise the aspirants to follow these simple steps covered below while applying for Karnataka High Court Jobs 2019. On the homepage, find the relevant tab “Karnataka High Court Notification 2019 for Typist (Typist) Posts“. Read out the details mentioned in the official Karnataka High Court Notification 2019. Check the Eligibility for the Karnataka High Court Vacancy 2019. Enter all the required & mandatory details in the Karnataka High Court Typist Recruitment 2019 Online Application Form. The full details provided on this page regarding Karnataka High Court Notification 2019 in an eye-catchy way for the guidance purpose of the applicants only. If you have any queries, refer the official Karnataka High Court Typist Recruitment 2019 Notification Pdf link through the direct link attached below. Also, leave comments in the comment section, our team will immediately react to your queries & provide the necessary answers as fast as possible.